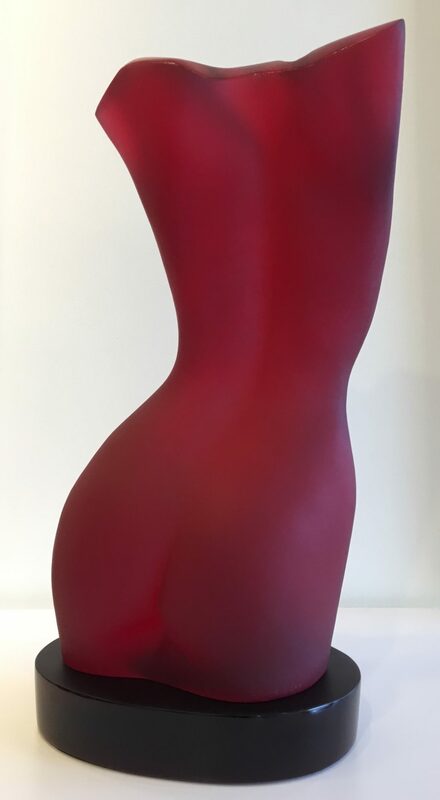 Tanya Ragir, Red is a figural cast acrylic sculpture featuring a female body with arms stretched upwards and back slightly bent. 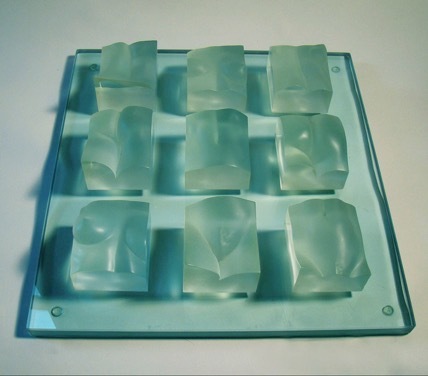 Tanya Ragir was born and raised in Los Angeles, California. 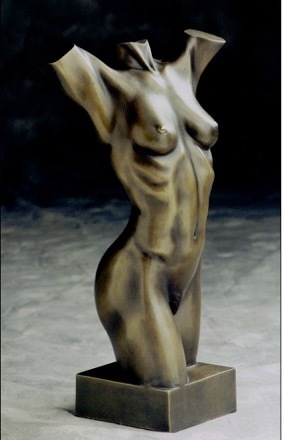 By the time she was fifteen, Tanya was drawing, sculpting, and studying anatomy, which included sketching cadavers at the USC medical center. She also studied many forms of dance: modern, jazz and ballet. She was performing in a ballet company before attending college. Tanya graduated from UC Santa Cruz in 1976 with a B.A. in Art and Dance. After graduating, Tanya ventured into the mannequin industry, a field in which she excelled and worked commercially for 25 years. 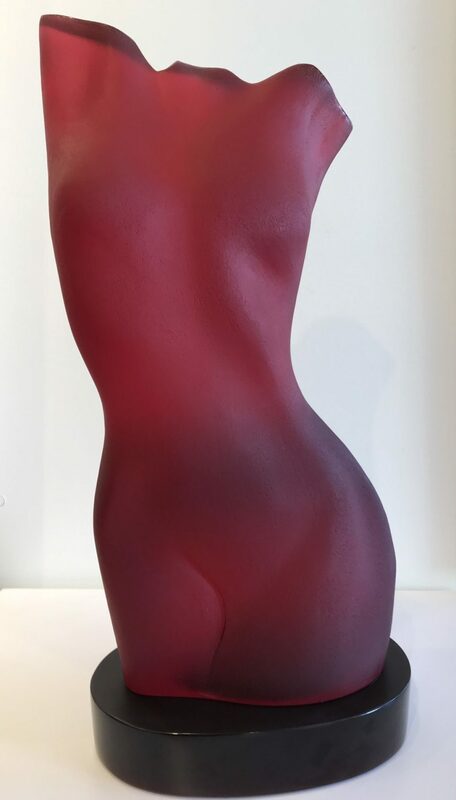 Tanya opened her own mannequin business, sculpting over 1000 figures and mastering the human form. During this time, Tanya continued to produce fine art.